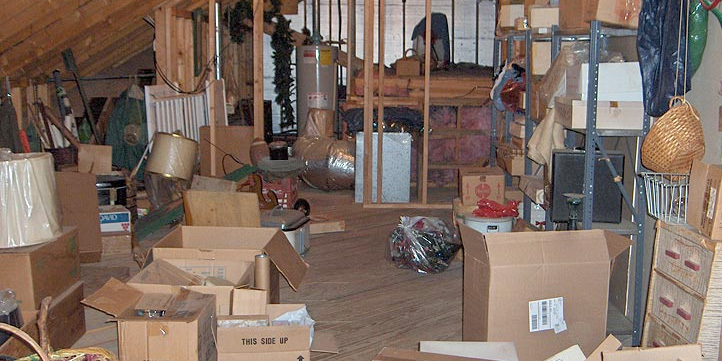 Over the years, clutter in attics can accumulate to the point where there is barely any room to move around. Junk and things we think will come in handy in the future or we might hand down to some one else never find their way out of our attics. Junk My Trash can help you clean out your attic and get rid of all the junk and clutter from your attic. We provide top quality junk removal services and clean up after the job is complete. Let us clear out all your contents and give you room for a peace of mind. Just one call clears it all, call 888-544-5865 for a free estimate. 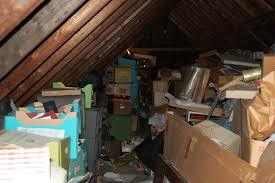 Our Junk My Trash professionals will make sure all your unwanted items stored in your attic are removed. Without causing any harm to your home you can rest assure that your attic will be free from junk, debris and all unwanted belongings.Junk My trashcan help with our attic clean out services. Who likes going up to the attic to a damp, dusty, dirty, dark, and/or cluttered? Why have to deal with the hassle of doing all the dirty work your self when you can hire a local junk removal company, which will cleanup all your clutter. Get your attic cleaned out with no hasstles or stress. let the Junk My Trashattic clean out team help you through! Save your self the annoyance of starting out the cleaning process with the thought of cleaning out and removing all the unwanted and unnecessary things and not be able to get rid of anything; back to square one and with every thing but one or two things removed. Let us take care of all you Attic clean out service needs. We are the one stop shop that will help you through. Call us now! One call clears it all 866-544-5865.